Airfare, transportation, and meals not included (unless otherwise specified). Travel dates and bookings must be coordinated directly with sponsors. You can book a room at No. 5 Valley on Airbnb. Get $25 off with this link plus an additional 15% off! Simply mention Global Girl Travels in your Airbnb message to No. 5 Valley. Simply enter your email address to enter. Follow, like, and share for extra entries. In fact, you can tweet the giveaway daily for up to 5 additional entries! I’d love to win a trip to China. I think Edmond and I shared the same childhood dream. I have always wanted to go to China. I will be close this year in Thailand. Ever since when I was a little girl, I always want to travel the world and explore what’s out there. That’s why I am taking a course of Tourism and Travel. It is natural for me to have that eagerness to learn different places, cultures, food and way of living in different parts of the world. I hope you’ll choose me to have this kind of giveaway to have a “real” hands-on experience to apply what I learned. 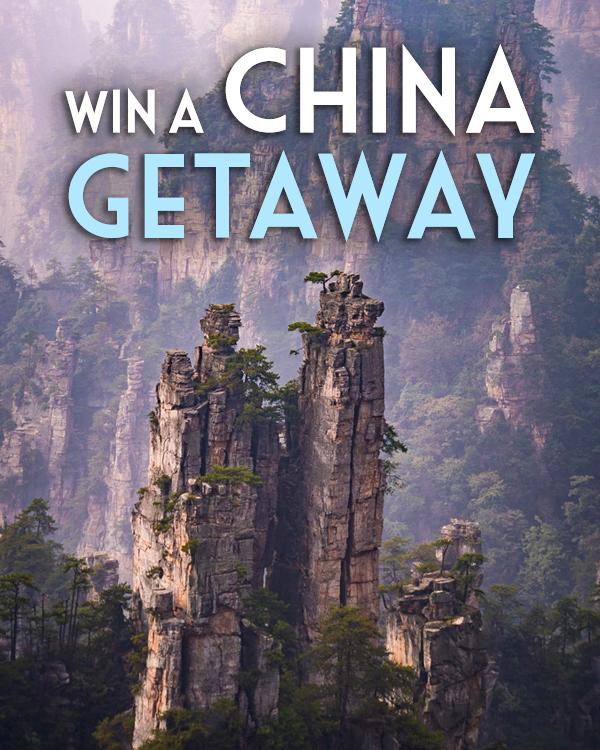 China is on my bucket list, I would love to win this trip, thank you, this would be great.